FIFTY SEVEN NETWORK is a MCMC licensed IP Telephony & Business Voice Service Provider in Malaysia. Incorporated in May 2015, we have accumulated our happy customers across various industries, including call centres, social enterprise, NGO, SMEs & SoHo Entrepreneurs. We have almost 10 years experience in design, market & deploy IT Network & Telecommunication Solutions since 2007. Working collaborative with a team of expert with over 40-man years of experience in pioneering PBX and VoIP solutions, the company now have 2 certified specialist working to develop, produce and market the latest trend of cost saving communication products leveraging on cutting edge Telco Grade network and solutions to the SMEs, Enterprise & Corporate market. We are confident to provide our customers with superb customer experience in IP Telephony & Unified Communication. 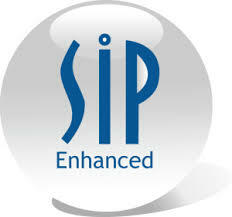 With constant upgrading to new SIP based communication technology, we are committed to provide a very affordable, cost effective & proven long lasting telecom solutions with rich functionality & reliable professional service, whereby the customers have a clear head to focus on their core aspect of their business, without hassle in maintaining in-house IT resources & expertise. Need more Inbound / Outbound Calls but also to further Cut Down my Phone Bills? Do I need to replace my Keyphone system to IP PBX system? Need more high quality enterprise grade IP Phones?